Welcome to Foothills Flags and Poles! 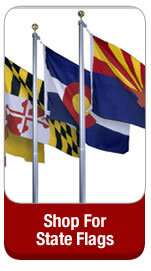 Foothills Flags and Poles is your one-stop shop for all of your flag and flagpole needs. Based in Maryville, Tennessee, just outside of Knoxville, our company believes in supporting American businesses whenever possible. All of our high quality American flags are made in the United States by Eder Flag and other local companies. Let us help you show your American pride. 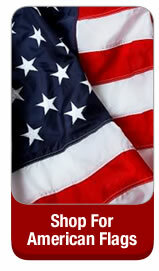 We offer American flags in nylon, polyester, and cotton, as well as flags for classroom display. We also stock miniature flags, perfect for Memorial and Veterans Day parades. Among our extensive stock, Foothills Flags and Poles features an assortment of state flags, international flags, and a complete line of military flags, including the POW flag. Show your support for our troops with a US Army or Navy flag. Foothills Flags and Poles also offers celebratory bunting and fan banners. Additionally, we specialize in custom banners for your home or business. 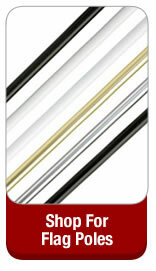 Foothills Flags and Poles products are of the highest quality and shipped out the same day that you order. We offer both residential and commercial flagpoles for displaying your flags, as well as the accompanying flagpole hardware such as ropes, cables, and eagle flagpole toppers. Our residential flagpoles range from 10 feet to 25 feet, while our commercial flagpoles reach even higher, proudly displaying your flags where everyone can see. We also offer sets for indoor flag display in your home, office, or place of worship. In addition to our patriotic flags, Foothills Flags and Poles offers a wide assortment of message and advertising flags for your business. Let us help you advertise your business. 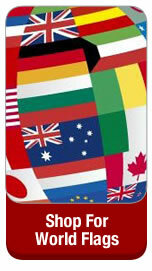 Our flags proudly announce your presence and products. We also offer religious flags, including the Methodist, Episcopal, and Presbyterian flags, as well as Christian flags and the flag of Israel. 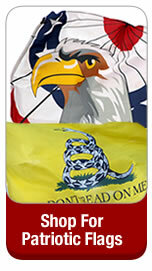 These flags can also be purchased with poles for indoor display in your home, church, or synagogue. With so many choices, Foothills Flags and Poles is a leader in the flag business. Order from us today! Along with our high quality flags, we promise you attentive customer service to answer all of your flag related questions. Concerns about how best to display your flag? Our customer service representatives are well informed on the most appropriate times to fly the American flag and can help you do it right. Shop Foothills Flags and Poles and show your patriotic spirit!